Some of Practical Queen AP's looks in illustrations. I simply couldn't escape not sharing these beautiful illustrations here. 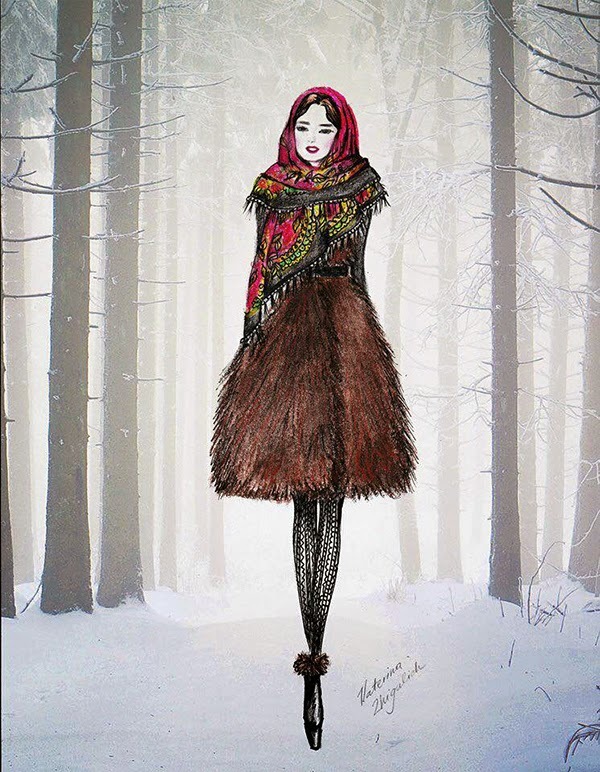 I really really love and appreciate the work done by my fellow designer Katerina Zhigulich and fashion illustrator Lotties Illustrations. It's so cool to see how others see you, I mean somehow see yourself through other person's eyes. And I'm like the biggest fan of such art, maybe because I'm not that good at drawing though I wish my drawing skills were much better. Talking about these illustrations. The first two were made by an unbelievably talented girl, I already talked about here, moreover, we together created Katerina Zhigulich Christmas Story just a couple of weeks ago. 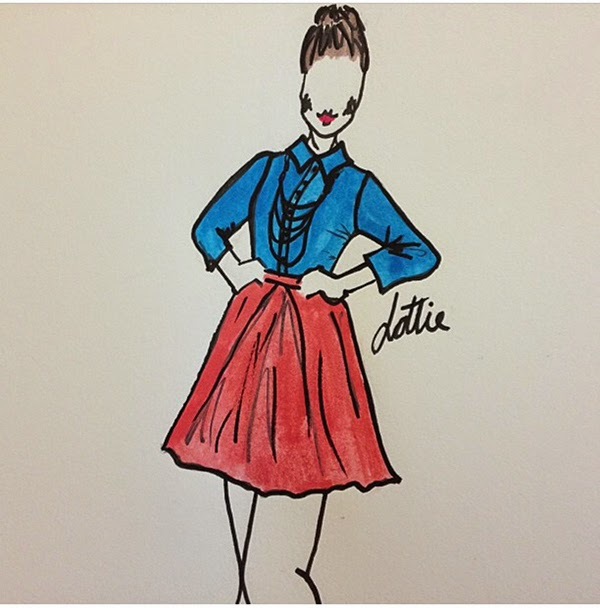 And just a couple of days ago she spoiled me with two uberly cool illustrations of my recent looks. 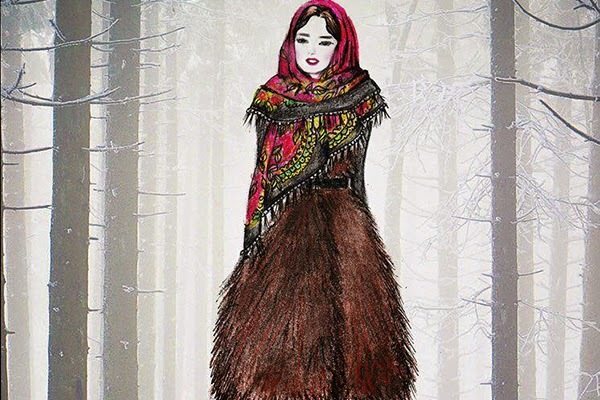 The first one is an A La Russe inspired Russian Fairytale with my favorite scarf of them all and sleeveless fur coat. Should confess that the illustration looks more magical and fairytale-ish than the original story. 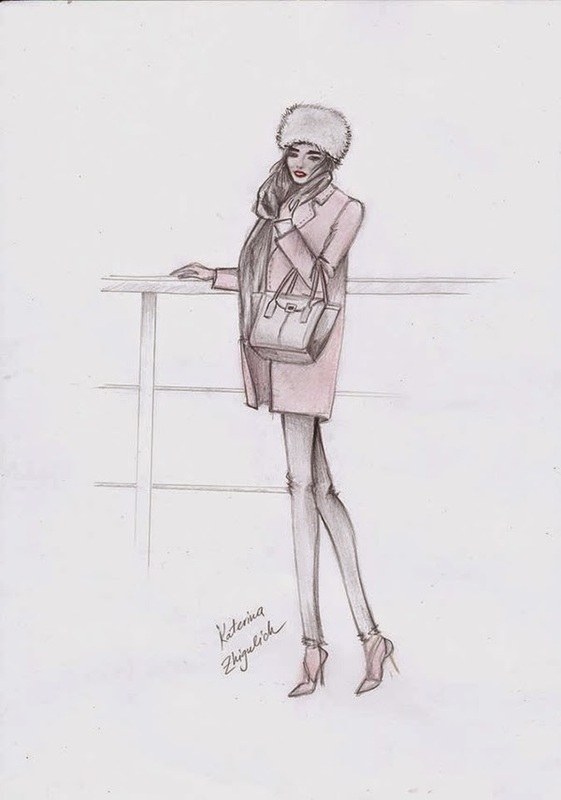 The second on is an illustration of the Total Cream Look that, by the way, was featured by Fashion Forward in their article about must-have items from international fashion bloggers. That fur hat seems to become a real celebrity! Third illustration was made more than a year ago already, I guess it was the very end of Summer 2013 and featured my Power of Spikes look. It was actually the very first illustration I ever received, but still remember it almost as yesterday - a girl called Lottie simply tagged me on Instagram under the photo of her work. Still feeling so grateful. I mean such things really seem a world to me, just to know that my work does inspire people, name them designers, fashion illustrators or simply those, who like drawing, to just sit down and draw one of my outfits. A very heartwarming feeling! wow! the first illustration is so beautiful!